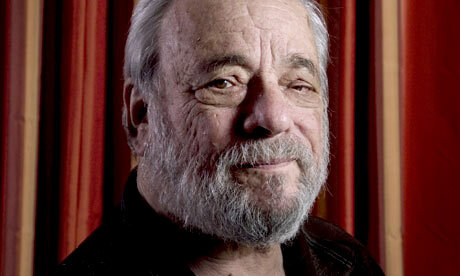 Stephen Sondheim is working on a new musical with David Ives. Stephen Sondheim is working on a musical with playwright David Ives (“Venus in Fur”) based on the films “The Exterminating Angel” and “The Discreet Charm of the Bourgeoisie” that is expected to be staged by The Public Theater. “We will do it whenever Steve tells us to,” said Public’s artistic director Oskar Eustis, as reported in the NYTimes. Sondheim, 84, and Ives, 64, have just finished a first draft of the musical and that a production was a few years away, the composer said in an interview with the New Yorker’s Adam Gopnik. Sondheim’s last piece was the Public’s 2008 production of “Road Show.” Ives’ “Venus in Fur” played off-Broadway in 2010 and transferred to Broadway in 2012. His play “All in the Timing” is his most produced work.